A new and more sustainable legal paradigm known as the Benefit Corporation is emerging in the U.S. On August 1, 2013, Delaware became the 19th state to authorize the benefit corporation. For the first time in American corporate law, this new corporate form provides a legal basis for companies to have a positive social purpose in addition to creating shareholder value. Without it, arguably, the company’s sole fiduciary responsibility is to maximize value to shareholders. Delaware is of particular significance because it is the recognized leader in corporate law and over half of all pubic companies are domiciled there. Thus adoption of the law there is transformative. A benefit corporation is a for-profit corporation, but in addition to creating value for its shareholders, it requires social purpose, accountability, and transparency. This article discusses the new Delaware benefit corporation. Benefit corporations fundamentally change how a company is permitted to act. In addition to creating shareholder value like other for-profit companies, a benefit corporation must produce a general and specific public benefit and operate in a responsible and sustainable manner. “Public benefit” means a positive effect (or reduction of negative effects) on one or more categories of persons, entities, communities or interests (other than stockholders in their capacities as stockholders) of an artistic, charitable, cultural, economic, educational, environmental, literary, medical, religious, scientific or technological nature. The board of directors must manage the corporation in a manner that balances the “[financial]interests of the stockholders, the best interests of those materially affected by the corporation’s conduct, and the specific public benefit or public benefits” identified by the corporation. Directors satisfy these modified duties so long as their decisions are both informed, disinterested and of sound judgment. Directors duties may be enforced by stockholders and not other stakeholders. How is the corporation accountable to its mission? The corporation is required by law to consider the impact of its actions upon not only the shareholders, but also the promotion of the company’s public benefit purpose and the best interests of those materially affected by the corporation’s conduct. What makes this type of company more transparent than is typical? 4. An assessment of the corporation’s success in meeting the objectives and promoting its public benefit(s) and interests. – Acquire a periodic third-party certification, with the option of using an independent third-party standard, to address the best interests of those materially affected by the corporation’s conduct. – Once an optional provision is adopted, a two-thirds vote of shareholders is required to terminate it. Incorporating as a Delaware corporation is simple. A Certificate of Incorporation is filed with the Delaware Secretary of State specifying the public benefit purpose(s) and any optional provisions noted above. Provisions may also be included in the Certificate of Incorporation that disinterested decisions by directors will not (i) constitute an act or omission not in good faith or breach of the duty of loyalty for monetary damages, or (ii) provide an indemnification right to directors. Stock certificates and notices to stockholders must note the company is a benefit corporation. A 90% vote is required to convert or merge into a benefit corporation. Those not voting to convert or merge into, or merge out of, a benefit corporation are entitled to appraisal rights; that is, the right to have their shares purchased for fair market value. A 2/3 vote is required to convert from, or merge out of, a benefit corporation. There are no appraisal rights converting from a benefit corporation. Shareholders may sue derivatively to enforce the duties of directors, but only by shareholders individually or collectively who own (i) at least 2% of the corporation’s outstanding share, or (ii) the lesser of 2% of the outstanding shares with a market value of at least 2 million dollars where the corporation is listed on a national securities exchange. 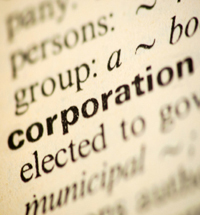 Benefit corporations may elect to be a Sub-chapter “C” or an “S” corporation for tax purposes. Government is beginning to provide incentives to encourage the development of this sector. For instance, the City of San Francisco offers a city contract bidding preference to benefit corporations of 4% demonstrating San Francisco’s commitment to sustainability, economic innovation, and social entrepreneurialism. Philadelphia offers a tax benefit to these corporations as well. Benefit corporations, embracing social and environmental purpose, accountability, and transparency, represent the new breed of sustainable where there is no long term tradeoff between purpose and profit.